Esports are now available at Dakota Wesleyan University. Esports consists of multi-player electronic video and online gaming and Dakota Wesleyan formally announced its newest program today during a special rollout with an introduction of DWU’s first team and the five games in which it will compete. Chad Harvey, director of information technology on campus, is the program’s director and coach and said that DWU already has 30 signed players for the spring season. The team will have a tiered varsity system and a general community player pool. General community consists of those new to a game or working up to varsity status. The teams will then compete in games and tournaments against other NAIA schools, community colleges and NCAA DI and DII schools nationwide. Harvey is only aware of two other South Dakota colleges with competitive esports programs and DWU is the only South Dakota college with membership to NACE – National Association of Collegiate Esports. 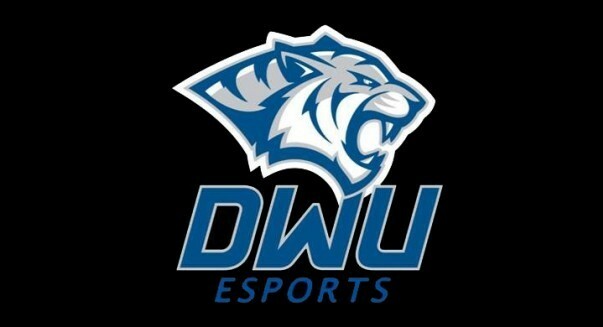 Click here to a link to DWU's esports page. All of this came about through administrative discussions about the growing popularity of esports, as well as the enthusiasm of DWU’s IT department that has been instrumental in setting up the new gaming rooms and researching strategies for forming the program. To maintain eligibility, students will have to maintain a certain GPA at full-time status, practice a specified number of hours in accordance to their team level, and participate in fitness and nutrition programs. The program is also co-ed and DWU has two females on its team so far. Esports also exposes students to more career choices – such as video content design and social media production. “Most folks may not be aware there are job board websites focused on esports from management positions, video content creators, social media, casters and sales. The opportunities are growing every day,” Harvey said. DWU’s two game rooms are set up with 10 stations with high-end gaming consoles and the rooms will be limited to team members only.